Durham author Mur Lafferty already had a handful and a half novels out in the world when, last year, she both had her “debut” novel published by Orbit, The Shambling Guide to New York City, and she won the John W. Campbell Award for Best New Writer at the Hugo Awards at the World Science Fiction Convention. Not a bad year, eh? 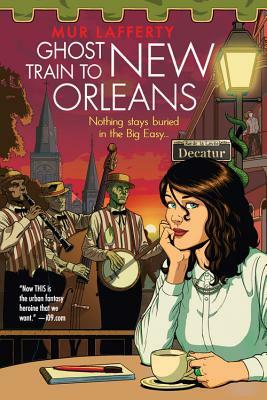 Still, after all the books and the stories, she had to go back to the drawing board — again and again — to get a particular plot point right for book 2 in her Shambling Guides series, Ghost Train to New Orleans, out earlier this month. In Book 1 of The Shambling Guides, the love interest, monster hunter and plumber Arthur, gets bitten by a zombie. They find someone who can give him magic herbs to hold off the curse, so long as he takes the herb for the rest of his life. But heck, diabetics have to do something similar, only insulin isn’t magic, so it’s not a big deal, right? But in fiction, if you hang a zombie curse over the mantle in book 1, it has to go off in another book. I struggled with what to do with him for a very long time. He’s a monster hunter, so turning into a zombie is a fate worse than death. Well, in more ways than the obvious. So he had to die, a good, clean death. He’s the kind of guy who would find a good roof to hurl himself off if he felt the zombie curse about to take him over. Once I decided to kill him, I realized that just like classic racist monster tales, I just Killed the Black Guy. After head-desking several times, I decided to talk to friends about this problem. One friend is a romance author, and her fire and brimstone practically engulfed me when I told her my plan. 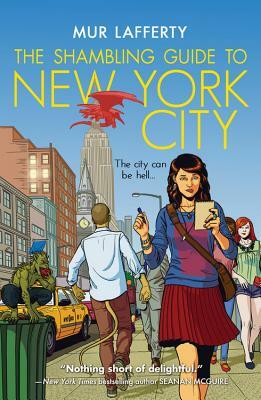 She reminded me that romance fans love urban fantasy (true fact — The Shambling Guide to New York City is up for a Romantic Times award) and romance fans are, well, fans of romance. And if I kill my main love interest, then I could lose my romance fans. I scoffed at first. Who wants to bow to the market? I’m an ARTEEST. I write what I want! Except, you know, editors want you to write something that sells. And romance readers are voracious and passionate. And I would like to someday pay my bills with this writing gig. Also she had a point. I liked Arthur and his struggles with being a monster hunter, and dating a woman who works with monsters, and then being on the knife’s edge of becoming one. I started singing “What do you do with a problem like Arthur?” but it didn’t scan well, so I stopped. My editor had the final say, making me think through my solution yet another time, and I finally came up with something that worked. I can’t tell you the solution, of course; it’s a major plot point in the book. But it felt right. And I wouldn’t have come up with it if I hadn’t struggled so hard, if I’d taken the easy way out. Once upon a time, James Patrick Kelly told me to write ten endings to a story. The first five or so would come quick and easy. They’re the obvious ones. The next three would take some time. The final two would be like pulling teeth. Choose from the final two. I don’t always take that advice, but I felt like I did with this particular plot point, and I’m so very glad I did. This entry was posted in The Hardest Part and tagged mur lafferty. Bookmark the permalink.